With this attachment, the Sherline lathe can be quickly and easily converted into a small milling machine. 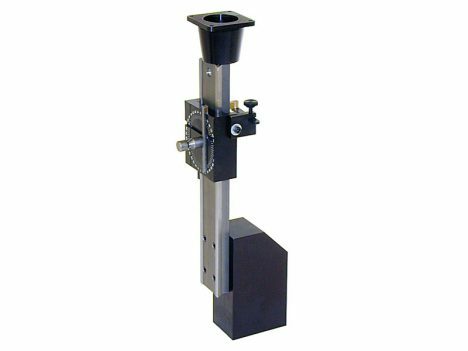 The attachment consists of a steel dovetailed vertical column with a solid aluminum base that attaches to the bed of the lathe in place of the headstock. The headstock then mounts to a dovetailed saddle on the vertical column. The saddle is raised and lowered to control the depth of cut by turning a handwheel. 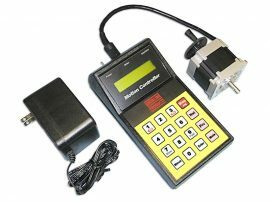 Calibrations on the handwheel enable depth control to .001″ (.01mm). Parts to be machined are mounted on the crosslide. 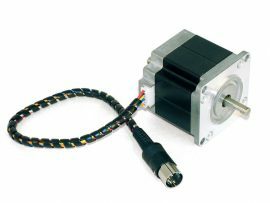 This CNC-ready version is fitted with a stepper motor mount and coupling ready for the installation of a NEMA 23 frame size stepper motor (not included). The mount includes two flanged ball bearings and a preload nut to eliminate end play. 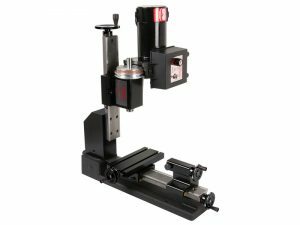 We recommend the use of a dual shaft motor so that the handwheel (included) can be used for manual control for positioning or when CNC control is not needed. New Feature! 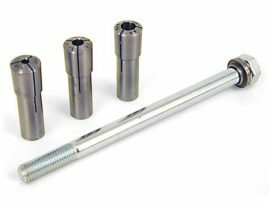 Vertical milling columns now include an oil reservoir on the saddle nut to keep the leadscrew lubricated. This is the most economical way to get into milling. Most standard vertical milling operations can be performed with this attachment, with size being the basic limitation. Conversion from the lathe to milling takes less than one minute. 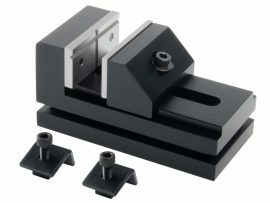 Almost all Sherline milling accessories may be used with the setup. At a later date, should you wish to upgrade to a complete vertical milling machine, the column will fit the Sherline XY-bases. This offers cost savings compared to purchasing a complete vertical milling machine because you save the cost of a second headstock, motor and speed control. Explanation of terms: As used in reference to the Sherline product line, a MILL COLUMN is a column used on a mill. It is held in place on the mill base with two 1/4-20 bolts. A VERTICAL MILLING COLUMN is used on the lathe to add a milling capability. It has a large hole in the center which fits over the headstock pin on the lathe base and is held in place with a set screw. The lathe’s headstock/motor/speed control unit is relocated from the pin on the base to the pin on the vertical milling column saddle. In practice, all vertical milling column bases now have both the single hole for the pin AND the two holes for use on a mill base, so they can be used for either application, whereas mill columns can only be used on a mill base. NOTE: CNC-ready machines cannot be operated manually until stepper motors are installed.